I recently spent a weekend in Boston at a high school mini-reunion of sorts. It wasn’t an official school reunion — just a gathering of a group of friends. I attended two different high schools, both in Singapore (the tiny little island republic off the tip of Malaysia that is probably most famous for caning an American citizen, who was also a friend of mine). The first school I attended, United World College, was an international school. The second, Singapore American School, was also international but with a high concentration of Americans, as is probably no surprise given its name. Anyway! This was a UWC reunion, and my lovely friend Eija was kind enough to let us crash at her place all weekend, plying us with booze and BBQ and Moomins (she’s a Finn too. They’re all a bit demented. Although, to be fair, when I was little my mom used to tell us stories about a peanut named Penelope who wore an orange wig and a bikini and lived in the White House with Jimmy Carter and his family). “Why I am supposed to care about any of this, Spencer?” you are asking yourself. Well, you’re not, really, except for this part: one of my friends who was at the reunion now lives in Brooklyn and is in a band, and it turns out they are insanely awesome. You guys, seriously. They’re called High Highs and they have four tracks available right now, either through iTunes or their website. They also have an album coming out in the fall. 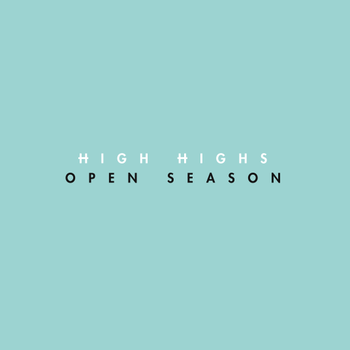 So here’s my Song of the Day, ‘Open Season’ by High Highs. Enjoy! This entry was posted on Tuesday, August 23rd, 2011 at 6:03 am	and posted in Song of the Day. You can follow any responses to this entry through the RSS 2.0 feed.